Daniel Coreno, 38, of Bean Station was arrested by the Morristown Police Department on Friday following a complex investigation in which he allegedly stole the identity of an 81-year-old Morristown woman and used credit accounts in her name. Investigators believe that Coreno befriended the woman and gained access to her personal information. A credit card was then opened in her name and used at least 18 times for purchases of more than $300. Coreno also allegedly accessed existing credit accounts in her name and used them to make additional charges of more than $3,000. The charges occurred over a period of approximately three weeks and came to the victim’s attention when she began receiving notices of bills due that she did not recognize. Coreno was charged with 18 counts of Fraudulent Use of a Credit Card and 3 counts of Identity Theft. 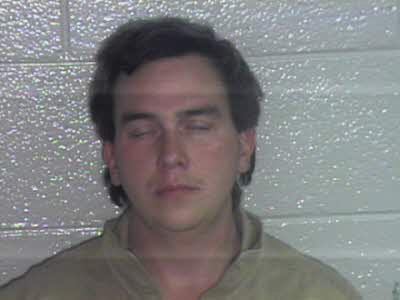 He is being held in the Hamblen County Jail on a $145,000 bond. Investigators requested a higher bond after they learned that Coreno is wanted on similar charges in at least three other states and is considered a flight risk. MPD investigators believe that Coreno will face additional charges as their investigation continues. The MPD urges everyone to protect their personal information and take the time to examine credit account statements. Report suspected problems immediately to the financial institution and to the police department.